The small nation of French Guiana on South America's north Atlantic seaboard is a paradise for nature lovers and adventure seekers. Its border with Brazil on the east and south is marked by the Oyapock River, and that with Suriname to the west by the Maroni River. Despite its size, French Guiana has a wide variety of experiences to offer visitors, from tropical rainforests with incredible wildlife and plunging waterfalls to a vibrant indigenous culture with a rich heritage. As the name suggests, the country has a long association with France, on which it continues to depend as a major consumer of its bananas, seafood and sugar. Tourism, however, based around the array of natural wonders to be found here, is becoming a significant sector of the economy. 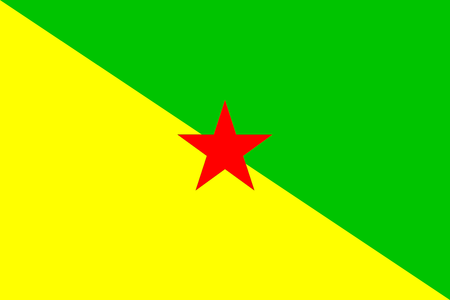 The capital city of French Guiana is Cayenne, with around 125,000 of the total population of 500,000. Visitors can explore colonial-era buildings, included a former penal colony, and view a variety of exotic plants and animals. 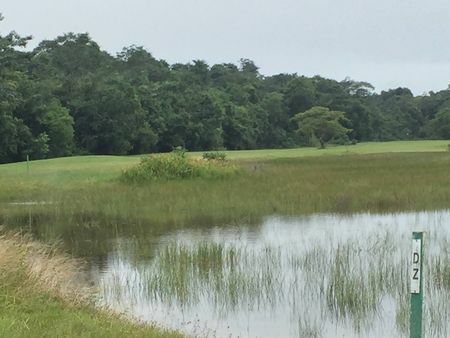 Yet for all its remoteness, French Guiana has not been untouched by golf. Golf de l’Anse, located in the town of Kourou up the coast from Cayenne, offers 9 holes, part on open ground and part in a forested setting. Not far from this club is the 9-hole layout at Golf des 3 Collines, where water hazards keep things interesting.